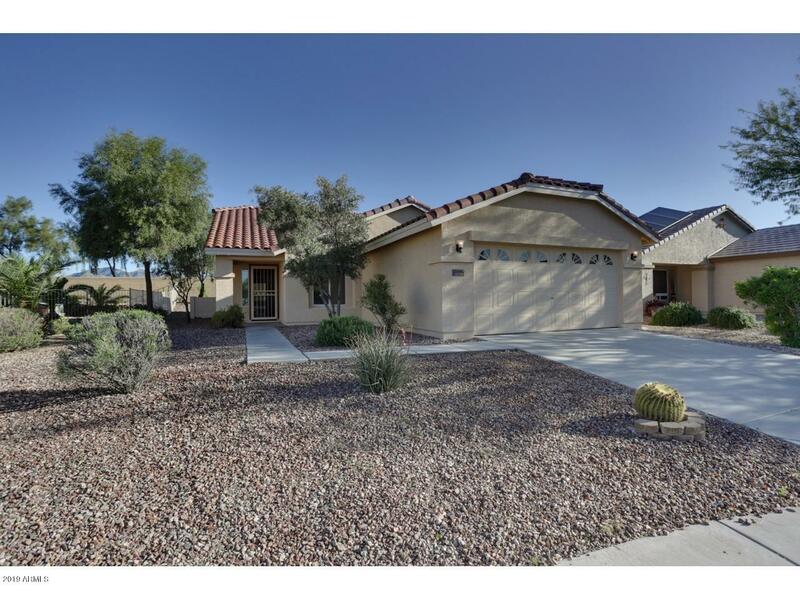 All SUNDANCE Adult Village homes currently listed for sale in Buckeye as of 04/19/2019 are shown below. You can change the search criteria at any time by pressing the 'Change Search' button below. 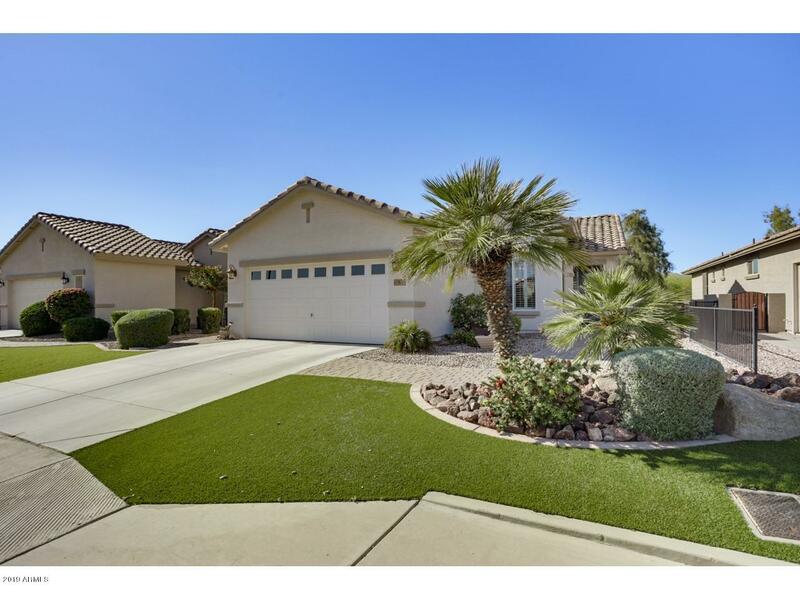 "Sundance Adult's largest floor plan with 2.5 baths and true au pair suite located on a largegolf course pie lot with southern exposure. Travertine tile floors with inlay at entry, Upgraded and staggered raised panel cabinets with crown mold, granite counters,tile backsplash, pendant lights, custom entry door, plantation shutters,tall baseboards,surround sound,side garage door, double sinks in master suite with custom tile counters glass block window, water softener and R/O system. Must see to ap"
"Beautiful former model home with some of the best mountain and golf course views in Sundance. Granite counters, built in office, built in BBQ, and a pergola enhance the resort atmosphere.Sundance #1 CFD is paid in fullPlease see the video tour to be impressed." 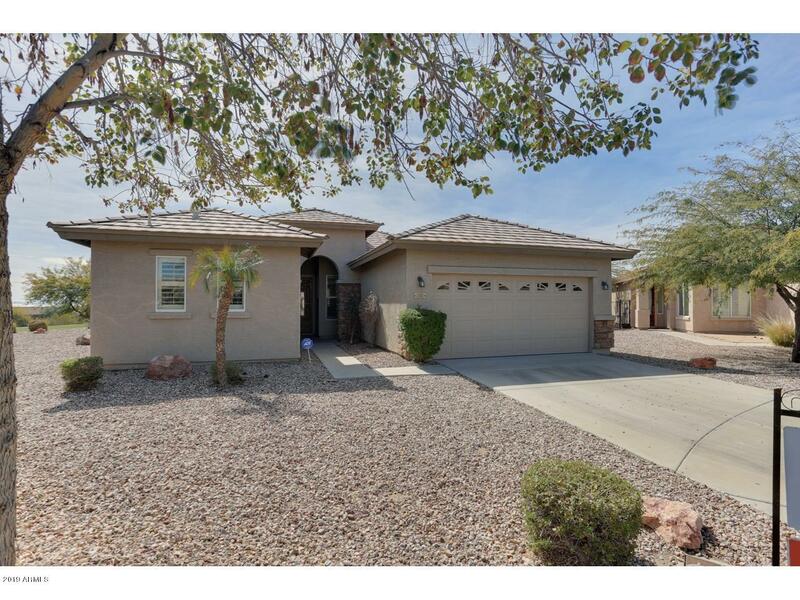 "Very nice recent remodel with granite counters, upgraded maple cabinets, tile floors, vaulted ceilings, fresh paint inside and out. Full length rear patio.It's light and bright and move in ready.CFD is paid in fullPlease see the virtual tour to be impressed"